I can’t even count the number of friends who saw the Foo Fighters this week, tailgating before the concert and rocking out until the wee hours of the morning. It made me jealous. I saw them twice perform live during the 2012 Democratic National Convention in Charlotte, NC. They’re incredible. Pitchfork is a popular music site that covers indie rock, hip-hop, electronic, pop, metal, and experimental music. It features music news, daily reviews, and artist interviews. According to its Facebook page, Pitchfork is in the process of “spawning Chicago’s annual Pitchfork Music Festival and the online music video channel Pitchfork.tv.” Over the weekend, you may have caught Pitchfork’s festival live stream from Union Park. Some recent posts that caught my eye include How Playlists are Curating the Future of Music, Wilco Drops Surprise New Album Star Wars For Free, and Overlooked Records 2015. A part of SpinMedia, Stereogum was founded in 2002. It includes features, songs, videos, photos, and lists. I appreciate several of the Stereogum features. These include Cover Story, Album of the Week, 10 Best Songs, Band to Watch, Best Covers, and Radiohead Week (Seriously? That’s kinda great.). In Radiohead Week, for example, I found Out of Control on Videotape: The 10 Best Radiohead Music Videos. I also uncovered this gem: 30 Essential Radiohead Non-Album Tracks. Other posts I enjoyed include The Clueless Soundtrack Turns 20 and Check Out Marvel Comics Versions Of Classic Hip-Hop Album Covers. The site features news, music, videos, interviews, and merchandise. It’s edited by Peter Robinson. I kind of love the tongue-in-cheek humor in the yellow table at the top of the site. On Friday, for example, it said the Outlook for July 17 is “Overcast with scattered Aguilera” and recognizes that it’s been 970 days since the last Rihanna album. Some noteworthy posts include Katy Perry’s Going to Star in H&M’s New Christmas Campaign, A Selection of Janet Jackson’s Best Bits, and We Had a Go on Apple Music Yesterday and It’s Really Quite Good. Dancing Astronaut is the “best dance music media/news outlet in the galaxy.” It was started in July 2009. Narrowing my favorite posts to just a few actually was kind of hard. But they include The Chemical Brothers Release Rave Anthem ‘Under Neon Lights’ and 5 Streaming Services That are Making a Big Impact. I also loved Interactive Spotify Map Tracks What’s Playing Around the World. P.S. Ever wonder how we come up with ideas for our blog profiles? Our handy list of industries and subjects on PR Newswire for Journalists stays top of mind. 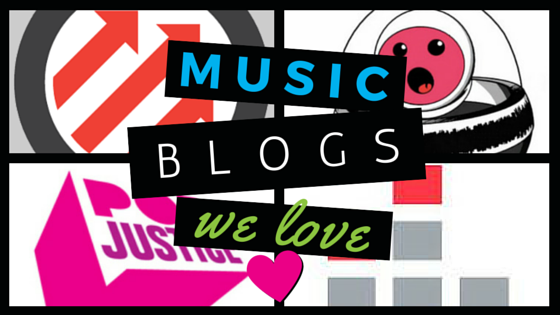 If you’re a blogger or journalist looking for music news, let us know. We can customize a newsfeed for you on PR Newswire for Journalists. Christine Cube is an audience relations manager with PR Newswire and freelance writer. She’s lately become addicted to her playlists and feels no shame about listening – and re-listening – to songs. If you happen to be in the vicinity during this unfortunate occurrence, Christine apologizes in advance. Follow @cpcube or check out her latest on Beyond Bylines on PR Newswire for Journalists.